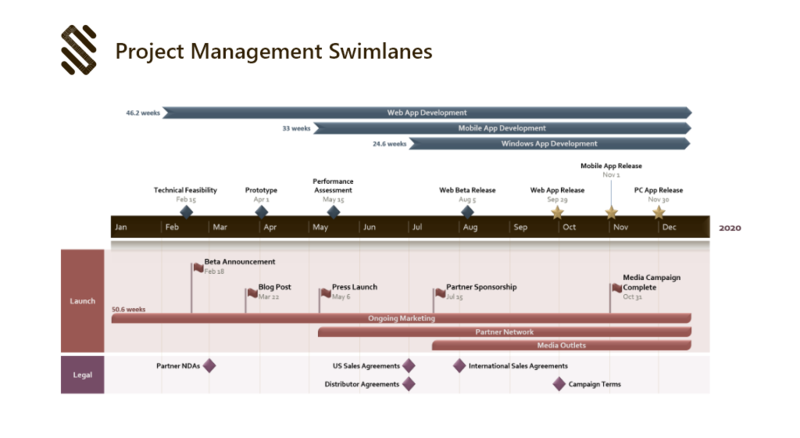 Make impressive PowerPoint timelines with just a few clicks. Stand out. Impress your audience. Quickly create stylish project visuals that showcase your work to clients and managers. 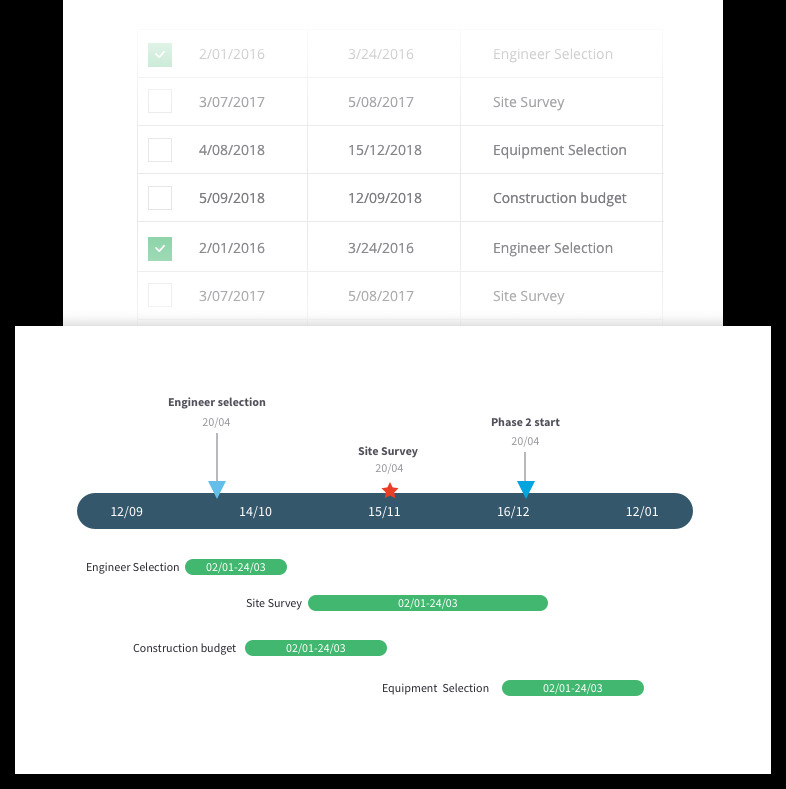 Improve project planning and communication with clear, convincing timelines that are easy to follow, but hard to forget. 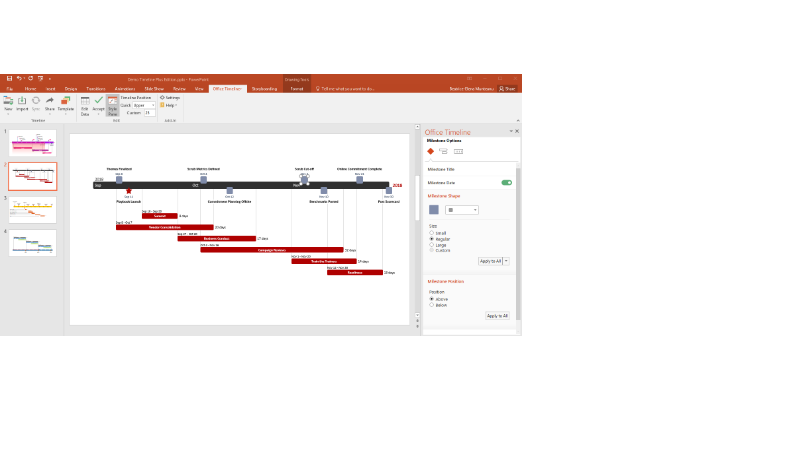 Make timelines directly in PowerPoint with the Office Timeline add-in. 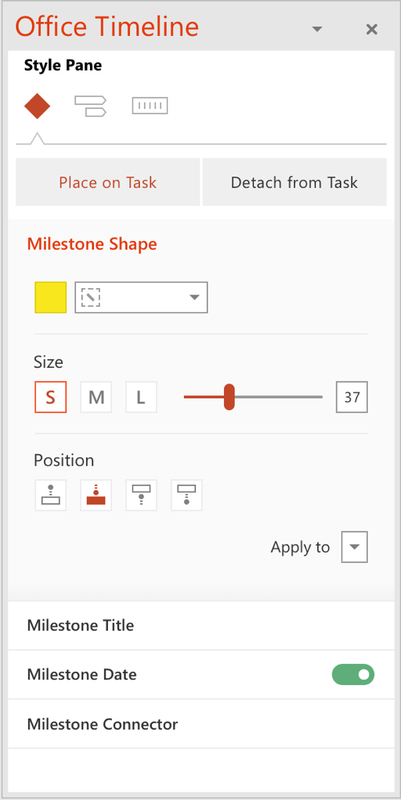 Try the only timeline maker built for professionals, right inside Microsoft PowerPoint. 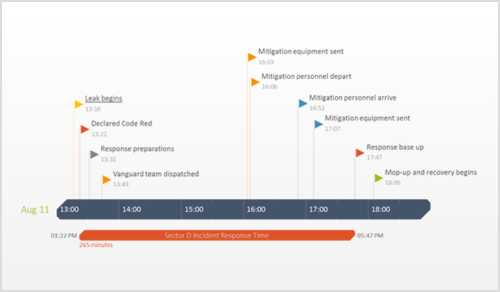 Easily produce elegant Gantt charts and timelines that no other application can match. 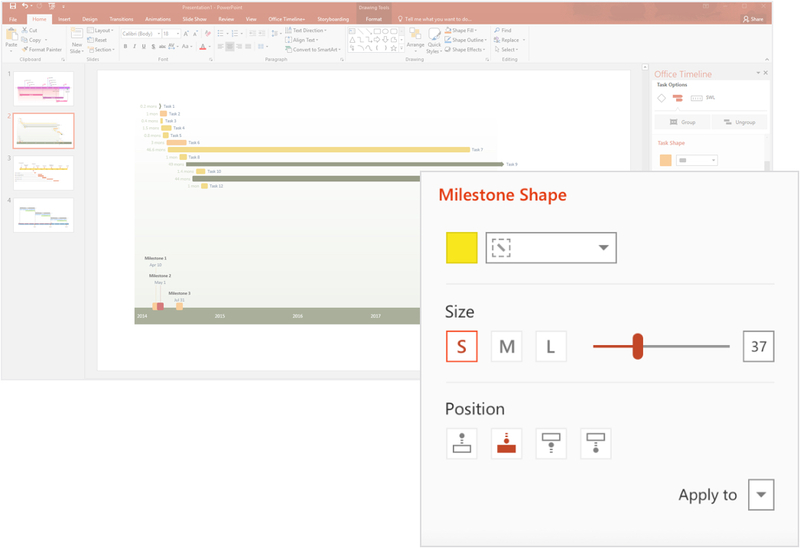 Get the richness of a desktop tool with Office Timeline's PowerPoint add-in. 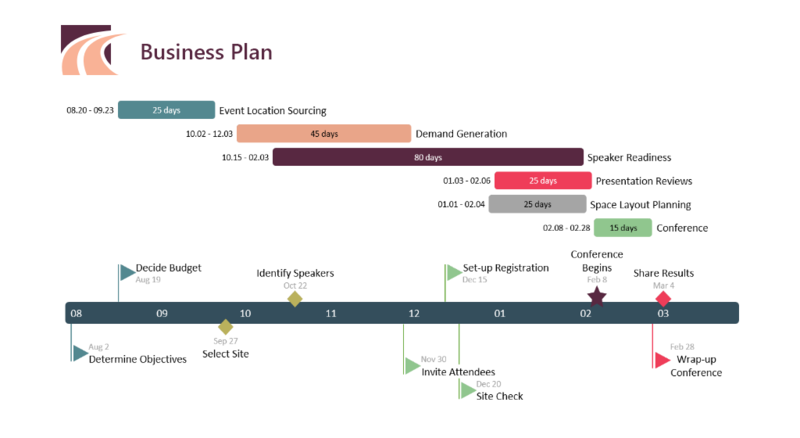 Make beautiful PowerPoint timelines online. Simply and quickly. 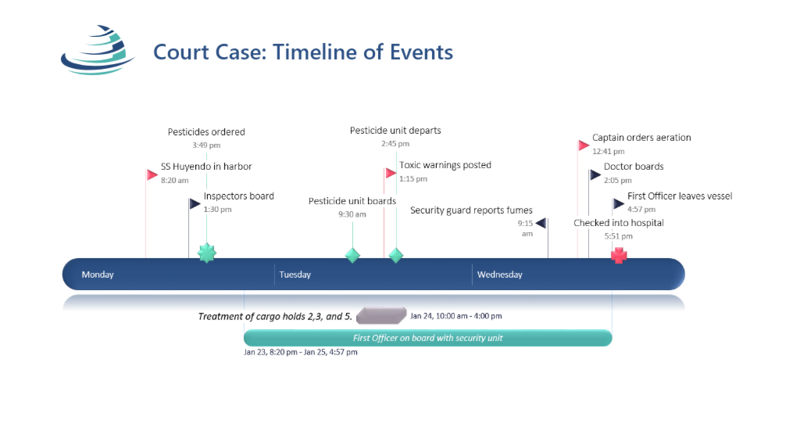 Try the only web-based tool that creates native PowerPoint timeline slides. Quickly build beautiful visuals that are easy to share, update, and present to clients and executives. Get the flexibility of the web with Office Timeline Online. The timeline creators most popular with professionals. 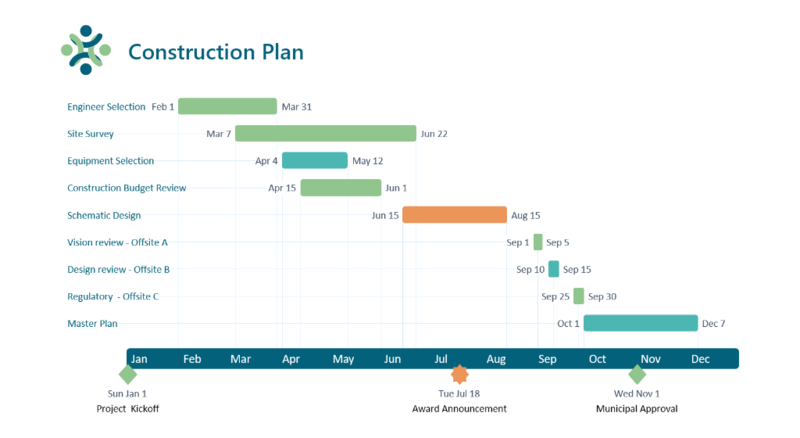 I managed a particularly challenging project and needed to create nice graphical timelines for exec reviews. 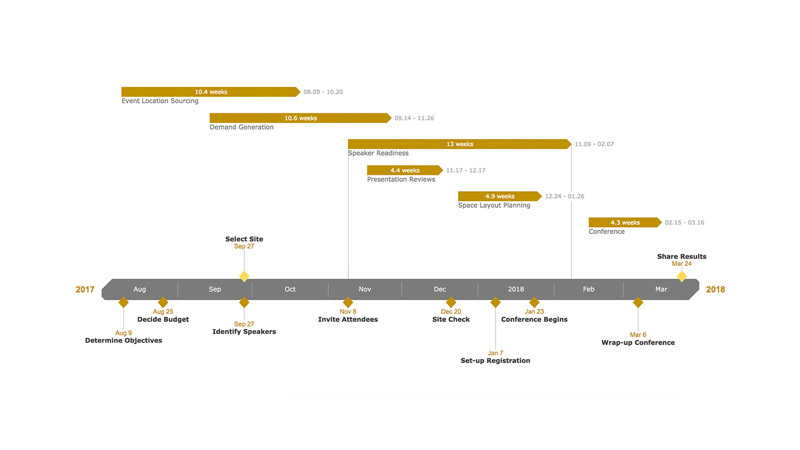 The Office Timeline add-in provided me with a tool that quickly created impressive PowerPoint timelines in an easy-to-understand visual. 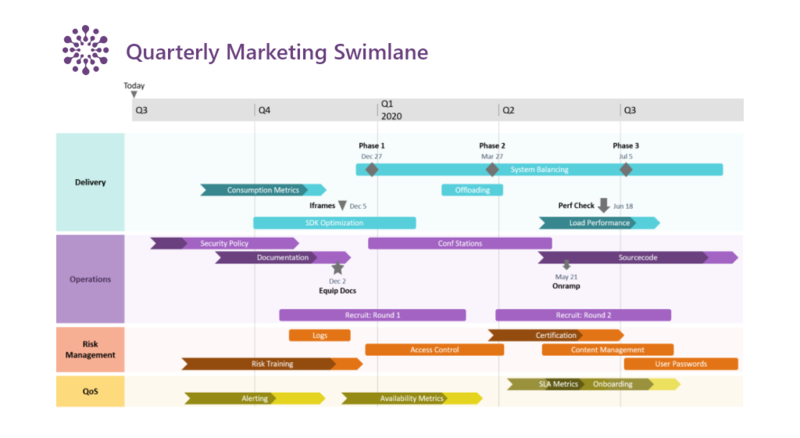 It allowed me to effectively present high-level timelines to executives who did not need to see, or want to see, all the minutia and complexity of my project. 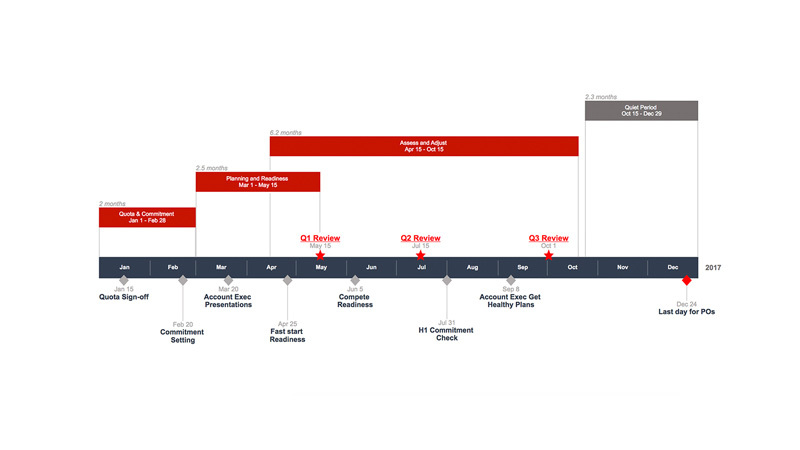 Office Timeline Online has become an invaluable part of my toolset to create attractive and effective timeline slides for my clients. Since it runs in a browser, I am able to use it across both my Windows and Mac machines very easily. Imagine building stunning project visuals effortlessly. Simple on the surface, yet powerful underneath. With the PowerPoint add-in, you get more features, more details, more visual effects. 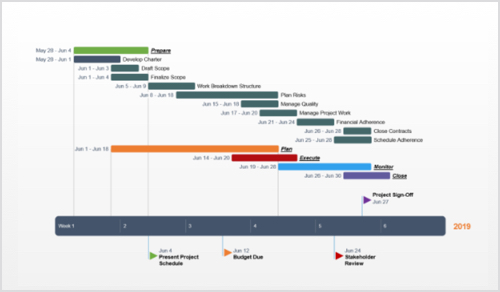 Easily make impressive timelines that expensive and complex project management tools cannot. 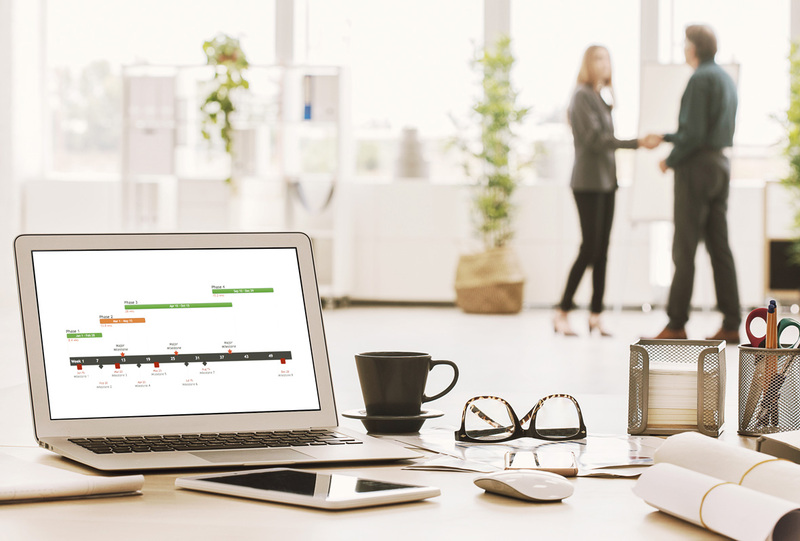 With the web app’s drag & drop simplicity, you get just what you need to make a beautiful timeline quickly. Create professional-looking visuals almost instantly and update them in real time as plans change. Sophisticated automation to make your work fast and efficient. 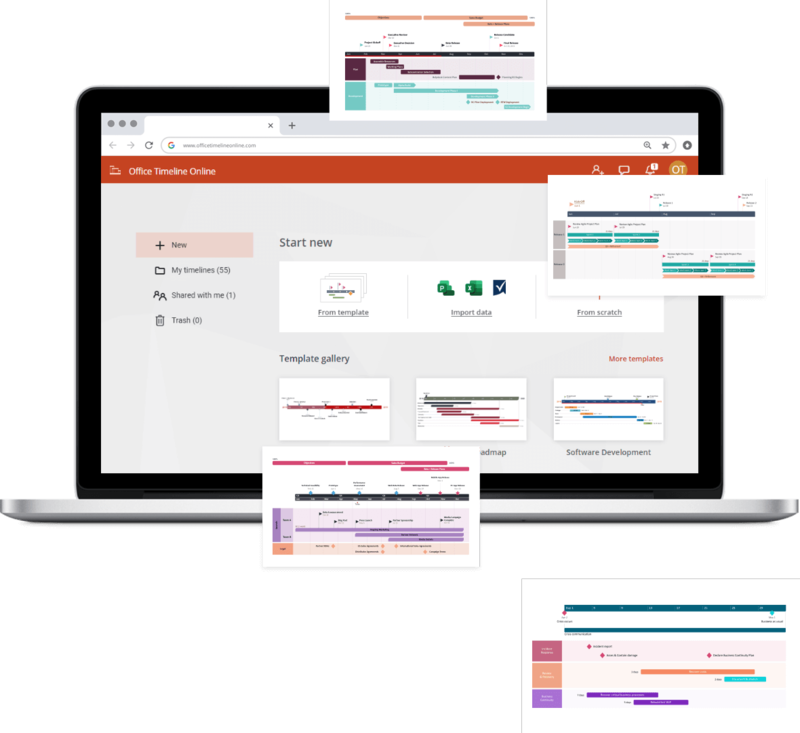 Office Timeline’s smart layout engine automatically generates beautiful visuals that can be updated and styled on the fly – intelligently designed to save you time. Take your pick! Choose the free timeline creator that works the way you do. Use the feature-rich desktop app to build striking timelines on your desktop, right inside PowerPoint. Easily customize every detail of your graphic to present your project in a crisp, distinctive way that impresses stakeholders. 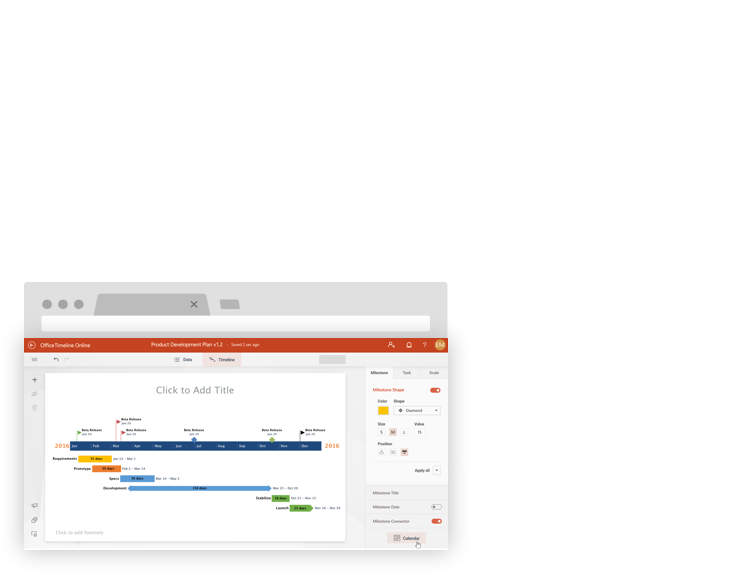 Use the web tool to create beautiful timelines anytime, anywhere, and access them quickly wherever you are. Build and style your graphic directly in your browser and download it in your preferred format with the click of a button.